Elite Sports is rather new in the market and are looking to make a splash with their first entry, a lightweight gi advertised with pre-shrunk fabric and an anti-microbial treatment. They were kind enough to ask BJJ Legends Magazine to review one of their gis, and I chose the one in blue. I’ve been practicing Jiu-Jitsu for just over 6 years and have about a dozen gis already in rotation, but was happy to try a new product — especially at the nominal price point of only $69.99. Look: What kind of audience does this product target within the Jiu-Jitsu community and what’s unique about it? How does it look out of the box? Emotional impressions? Craftsmanship: How well was it built? Are there any loose threads? Compare fresh out of the box and after a few washes. Does it stain easily; is it soft; durable; etc.? Feel and Fit: How does it feel when worn and how does it fit in relation to other products, both walking around and while sparring? Is it too heavy, too light, etc.? Does shrink play a factor? Care: How can you get the most out of your purchase and is it worth it? 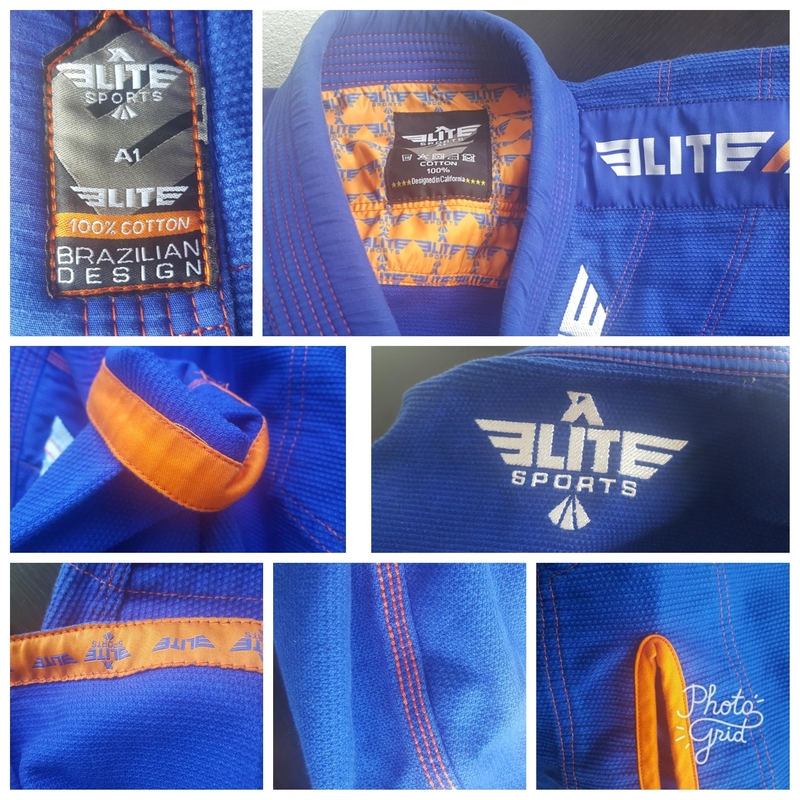 Today, I’m reviewing the Elite Sports Ultra-Light BJJ Jiu Jitsu Gi with Pre-Shrunk Fabric – Blue. Coming in an IBJJF-legal royal blue with an orange and white color way, this kimono makes a great first impression to the eye and is incredibly inexpensive at only $69.99. Because of the entry level price point and relative newness in the market, I didn’t have high expectations for the gi. After putting it through its paces, washing over 15 times and rolling in it exclusively for almost a month, I was able to come to a rather unexpected conclusion. • Made from a light-weight 400gsm Pearl Weave preshrunk fabric. We still recommend that you wash the gi in cold water and hang dry it. • Lightweight pants are made from 400 gsm ripstop fabric and have a rope drawstring for tightening. • Contrasting and reinforced stitching in seams and other key areas for durability and added strength. • Fabric has anti-odor and antimicrobial treatment so that you don’t have to worry about bacterial buildup or fungal infections; no one else is doing that at this price. • Comes with a free white belt. When I unboxed the gi, I found a no nonsense approach to packaging. Opening the cardboard box, the gi sat nicely therein, within its clear bag. And while it didn’t come with a gi bag, a new white belt was included and, combined with the price point, is a nice touch for new practitioners. The pants are a lightweight ripstop, as advertised. I appreciate a thick rope drawstring and this is no exception. While the branding is minimal on the gi overall, the Elite logo is visible on either side of the pants, stitched in nicely. With two drawstring loops on either side, I was happy with the way they were designed. Too often, I’ve found that companies either go overboard with belt loops, or make them too narrow to fit the rope comfortably. None of these issues were present on the Elite gi. As with most ripstop pants, the knees and mid-thigh are reinforced with additional quilted stitching, using an orange contrast thread. All areas that are supposed to be triple stitched – interior seams and the gusset, were done so with care. It’s also important to note that the bottom cuff is quadruple stitched for additional strength! Well done! The jacket is simple, coming in at 400 gsm. I was surprised when taking it out of the packaging just how light it was. The orange contrasts are really helpful to give an entry level gi some needed pop. This is seen on the inside of the cuffs as well as in all contrast stitching, and at the splits in the skirt. At the top of the jacket, inside the back panel, Elite has added an orange logo section for an additional bit of flare. Their logo is seemingly everywhere on the jacket, however – three times on the front, stitched in with patches or embroidered along the lapel, then again on the back between the shoulder blades, embroidered in white thread. Inside, along the bottom seam of the jacket, their twin logos (with and without the phoenix design) revolves. In the way of branding, it’s a tiny bit overdone, but also confusing. Both logos are used interchangeably here but as a consumer, is there a primary logo or are both equally important? Further, on the back panel, the jacket notes that it was ‘Designed in California,’ but the front of the jacket, at the bottom of the lapel, states ‘Brazilian Design.’ Overall though, I was happy at the look of the jacket – there are no giant design flourishes and it’s simple in presentation. Tied together, the pants and jacket make a nice, clean match. For $69.99, I was expecting many loose threads and poor craftsmanship from Elite right out of the box. I’m happy to report that I was sorely mistaken. I couldn’t find a single loose stitch within the bunch, and the material was light, strong, and well-tailored to my needs. There is a small tag within the jacket that denotes that it was made in Pakistan – as many other gi companies are producing their products there, I was pleasantly surprised at the durability of the gi. As I stated above, I’ve worn it exclusively during my testing period and it had no issues. On the pants, I liked the extra cuff stitching and the pearl weave jacket is just as strong as the $200 gis I have hanging in my closet – and at a lower weight per gsm to boot. I’m 5’7”, 155 lbs without the gi and asked for an A1. Elite is using a tailored fit that hugged the inside of my underarms a bit at first, but was overall very slimming and easy to move in. The pants fit comfortably, just as any other pair of ripstop pants, and were the appropriate length. Overall, I was very impressed with the gi at unboxing and through the first large set of test cases. While it isn’t the softest gi on the market, that isn’t the demographic Elite is tailoring to. Mind you, it’s soft enough that you don’t need a rashguard underneath, especially in the summer, but after hanging the pearl weave can be a little strong until it’s broken in. If you have any questions on fit or feel, you can always call or email them from the site and ask whatever questions you might have. 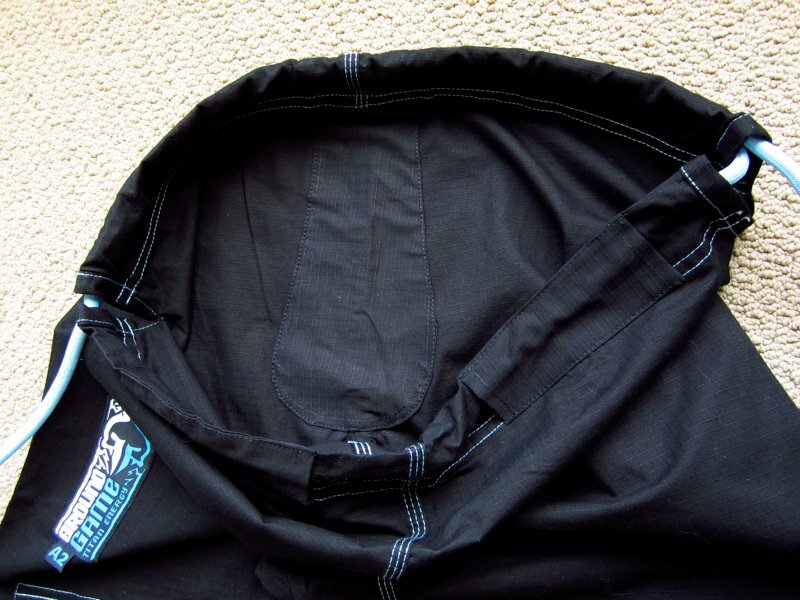 I also found the gi nice and durable as I’ve used it twice or three times a week since I got it and have had no issues. Additionally, the lightweight 400 gsm jacket is great for the hot, summer weather and breathes well. It’s important to note in this section that the company specifically notes that the gi has been hit with an antimicrobial treatment so that you don’t have to worry about fungal infections or bacterial buildup. This translates, at least to me, as whether or not the gi will smell badly after a hard session and then sitting in my car during a hot afternoon (smell = bacteria). After such an event, the gi did smell like it was used, but not nearly as badly as some of my kimonos. As I shower immediately after class, I had no chance to test the antimicrobial function outside of that. For the price point though, the added peace of mind is worth it. As with any gi, I soaked it in vinegar and water when I first received it, washed it, then hung dry it without any shrinkage whatsoever. After 10 normal washes, I decided to dry it with a machine dryer. While it is recommended on the site that you should hang dry your gi, I opted to give it the hang dry test since it’s advertised as pre-shrunk and the dryer logo is within the care instruction panel on the jacket itself. During this wash is when I noticed fading begin to take root – nothing major, but the pop and crispness of the colors began to deteriorate. On top of that, the jacket sleeves shrunk by about half an inch. Bear in mind that I dried the gi on high heat and didn’t bother to use Permanent Press or some other low setting. I don’t believe the average consumer would need to worry about shrinkage based on normal gi care, but be prepared to see differences in fitment and color when throwing it in the dryer for an emergency wash before your next roll. 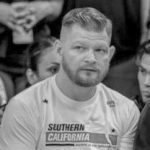 Keith Myers is a Tinguinha BJJ purple belt, training in Yorba Linda, CA under Mauricio "Tinguinha" Mariano, and has been writing product reviews over the course of the last 5 years. When not on the mat, either training or teaching, he can ususally be found reading sci-fi or drawing.